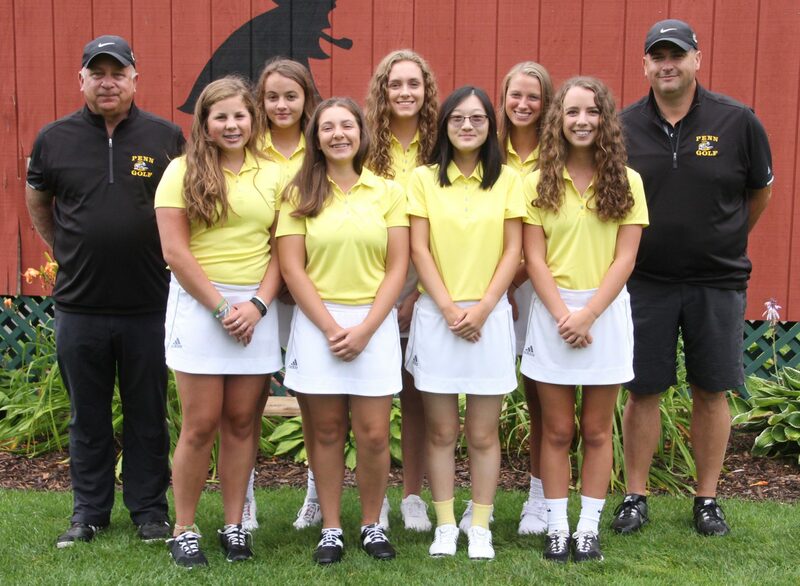 The Penn Girls Golf Team improved to 10-0 in Northern Indiana Conference action by winning a close match against Elkhart Central, 193-197. Lyvia Li led the Kingsmen with a score of 39 to win medalist honors. Abbey Hamilton shot a 48, followed by Grace Szklarek (52), Ryen DeToro (54) and Kate Burnett (57).